Everyone should have one of these. Saves so much time for big batches. I have a veggie chopper and it makes cutting up veggies so much easier. The only painful part is cleaning the damn thing. This is so oddly satisfying. 1. I like to use stainless steel prep bowls from a restaurant supply store. It keeps everything clean and organized. At the very least have one medium sized one next to your cutting board for waste (onion skins, bell pepper seeds, etc.). It keeps you from having to walk back and forth to the trash can while you're cooking. 2. Use a sharp chef knife. I won't cook without one. Also rinse it off as soon as you're done or taking a break. The only time I've cut myself is when I let stuff dry on the blade and was scrubbing it in the sink. 3. Get a rubber mat for you're cutting board (if you don't have a heavy one). Keeps it in place and makes life a lot easier. A carbon steel knife gets you in the habit of this real quick. I like a julienne cut onion for some applications. I dice an onion like she does but for regular sliced onion, I feel I have more control and efficiency just slicing backward from the top of the onion. Buy a super cheap pack of plastic/vinyl floppy cutting boards for cutting up meats/seafoods or anything else that needs to be kept separate if raw from other foods. Just throw the flimsy board on top of your regular board, do your thing, and toss it in the sink when you're done without having to scrub down your board with soap and water. Buy a box of disposable latex gloves from the grocery store. When cutting up meats or other foods, glove your off-hand to handle the food and use your other to cut, season, etc. Gloves are especially useful when having to hand mix a dough, burgers, etc. If you're cooking a stew, soup, sauce, etc. 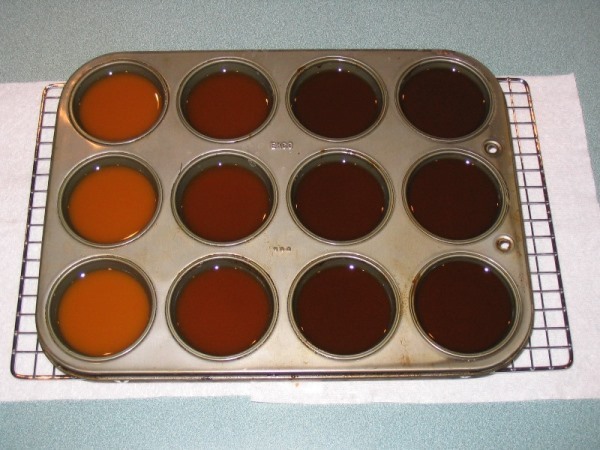 and have a thin layer of oil to skim from the top, just lay a paper towel or two gently on top of the food and allow the towel to soak up the oil. Don't go cheap on knives and keep a butchers steel handy. Use it before you start cutting on things and after you get done. way easier????? all she did was skip a step..... there is nothing easier about that. I buy them in bulk at Sam's. I use them in the kitchen all the time. Can't stand Latex. Nitrile gloves are much better. I keep a box for handling hot peppers. Mine are actually the nitrile. Keep a cake tester handy when you're cooking fish. To check for doneness, stick the tester into the fish for 10 seconds then put the tester on/above your top lip to feel for temperature. This was discussed in his "Avec Eric" show. Or just use a meat thermometer. Yeah, that was my first thought but I think the cake tester is a solid idea because a.) you want different fish at different temperatures and b.) 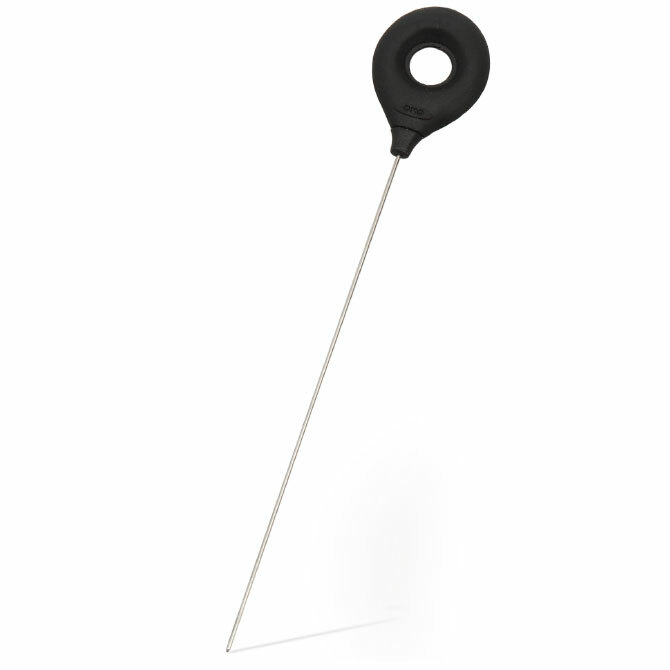 the cake tester has a much smaller diameter and doesn't leave a noticeable hole in the fish. I don't know, I used to use a thermometer but started using the cake tester. I'm a fan. I always thought the horizontal slice was a waste of time. This picture just makes me happy. 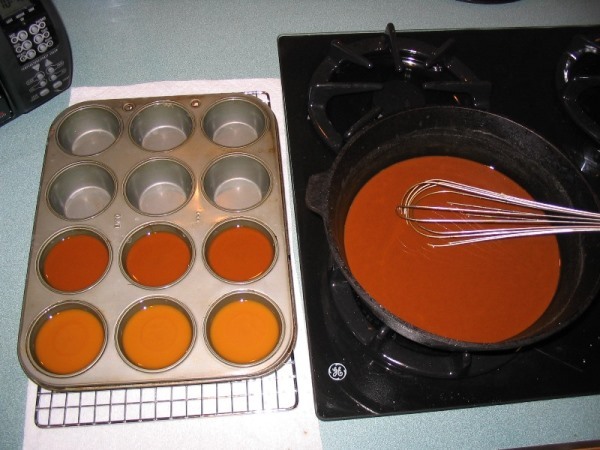 I never really thought of making a huge batch of roux and just scooping it out like that at different stages of brown. Worst part would be that you're moving Cajun napalm around a lot.